There are one daytime and one overnight train (two in summer) from Belgrade. Trains go through Bijelo Polje, Kolašin, Podgorica and ends in Bar, Montenegro’s main seaport. The railway through the Dinar ridge is considered as one of the most scenic railways in Europe. 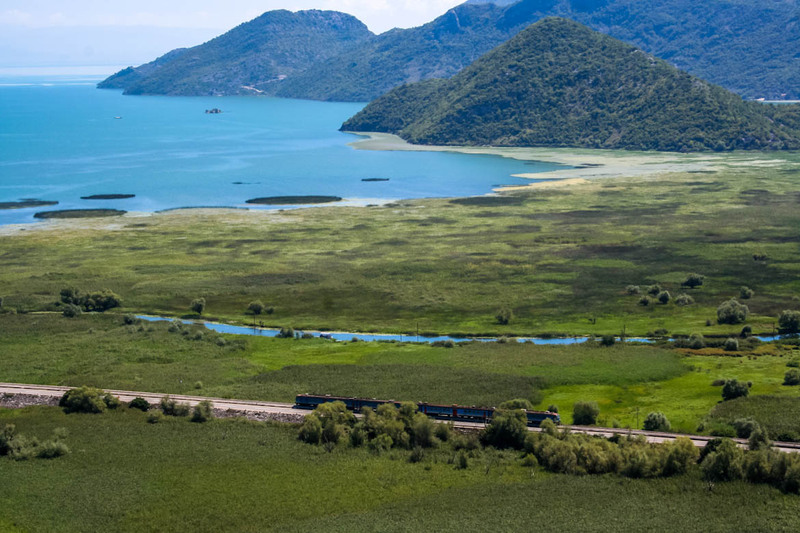 Travel by train is the cheapest way to get to Montenegro, the trip time is 10h from Belgrade to Podgorica (11h to Bar), but expect considerable delays. Ticket from Belgrade to Podgorica costs €19.20, plus €3 seat reservation (not compulsory but strongly recommended in summer season) or €6 berth reservation. Tickets from Serbia can be purchased at Serbian railway e-shop. The railway has features such as the Mala Rijeka viaduct (highest railway viaduct in the world) and the 6.2 km (38 mi) long Sozina tunnel. The total network is 250km long and almost 58km, a third, of these lines are in 121 tunnels. There are two types of train: brzi (fast) and poslovni (slow) – though there’s actually little distinction between the two, and the cost is the same regardless of which one you travel on. Timetables (vozni red) are displayed in stations and offices – arrivals (dolazak) are usually on a white board, departures (odlazak) on a yellow one – though don’t expect trains to conform too closely to them. Fares are calculated by distance traveled, and are extremely low: a journey of 50km, for example, will cost around €2 in second class, €3.50 in first class.